CARLSBAD — Typically, rust is not a pleasant sight. But for a clever group of Carlsbad eighth-graders, rust led them to a robotics championship. On Dec. 2, the Valley Girls Inc. team took first place out of 500 teams at the First Lego League Southern California Championships at Legoland, which no other Carlsbad team has done in the 12 years of the robotics program. 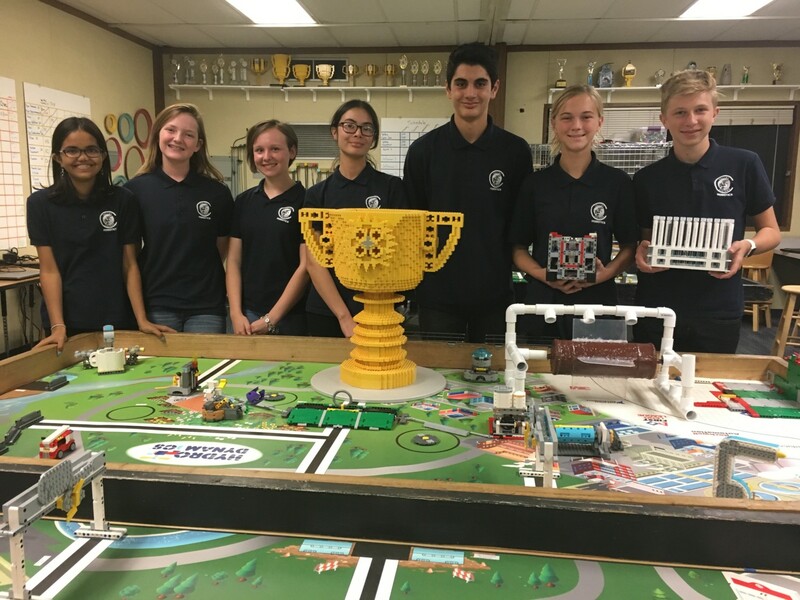 Now, the team is hitting the fundraising circuit and preparing for the Lego League World Championship, which runs April 17 to April 22 in Houston and features 108 teams from 50 countries. The Valley Girls Inc. was founded as an all-girls team. But this year, after several team members entered high school, they were down four students. So, two new girls were added and two boys were “incorporated” into the team. This year’s theme focused on hydrodynamics — the motion of fluids or anything relating to the human water cycle, Krescanko said — and the students were to deliver an innovative solution to a real-world problem. The Valley Girls Inc. chose to address phosphates feeding harmful algae blooms, which are toxic to humans and wildlife. While the team came up with its real-life solution, another part of the competition was to build a robot. The robot needed to navigate a tabletop course and teams were judged on teamwork, robot design and programming. The students conducted massive amounts of research including speaking with professors, farmers and government officials to tackle the problem. What they came up with was a device, dubbed the Phospho-Roller, which spins and ionically bonds with the phosphates to remove the chemical from runoff water in drainage canals, cutting off the source of phosphates to other bodies of water. The biodegradable device also provides iron to agricultural soil when depleted. The idea came to the students after they read an article from NASA about harmful algae blooms in Ohio. The phosphates produce toxins, which can affect the nervous system and cause dementia in sea lions, the kids learned. So, they opted to discover a way to remove the threat from waterways by comparing water samples from the U.S., Mexico, Iceland, Scotland, France and India. Additionally, the students are also figuring out a way to recycle the phosphates, as they are used to fertilize the land and helps farmers grow their crops. While the real-life project is the team’s prize, they also had to navigate other challenges in the competition. Each team was required to construct a Lego robot, which navigates a course on a table about 7 feet long and 3 feet wide. The students used computer programming to relay the instructions to the robot, and they had to conduct three missions in less than two-and-a-half minutes. Krescanko said the students began the research and early stages of the robotics throughout the summer and won a local competition in November. In addition to Josie and Katelyn, the team is comprised of Valley Middle School students Emma Barger, Aimee Cuthbertson and Kian Ghassemian, and Nathan Hall and Raina Seth of Aviara Oaks Middle School. But now, the students are aiming to raise $10,000 to cover expenses to Houston for the five-day World Festival. 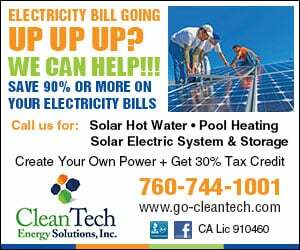 They are seeking corporate sponsorships, did an event at Pizza Port and started a GoFundMe Page. They are also teaching robotics classes as a fundraiser. To donate to the team, visit https://www.gofundme.com/d9w4bj-valley-girls-inc-robotics-team, or contact Krescanko at Jefferson Elementary School.